As spring is getting closer, more rain seems likely so it might be a great time to inspect your gutters to see if they might need some maintenance. Gutters full of debris can cause a lot of water damage. You should inspect them frequently. If they are full and clogging the downspouts, the overflow of water could be going in all the wrong places such as your walls. Water damage can become a major issue if not handled quickly. Checking things such as the guttering and outdoor water spickets can help prevent huge problems as well as prevent huge expenses. Regular maintenance is key to preventing water damage on the outside. For people with outdoor pools and fountains, checking all hoses and connectors is a great idea and should be a part of your spring time inspection as well! We can't always prevent all types of water damage but the ones we can will help to minimize the possibility! Take a little time now for your own peace of mind! We see a lot of water damage at SERVPRO that could have been prevented! Create your own spring time inspection list and enjoy your spring! This fire started because a candle was left burning unsupervised. Fire prevention is the best way to prevent disasters like this one. Here is some measures you might take to prevent this from happening to you. Kitchen fires – Most are caused by leaving items unattended on the stove or oven when cooking. You can prevent them by being more watchful of the stove and not allowing things to distract you from paying attention or outright forgetting that you are cooking. Set a reminder or alarm to remind you that something needs checked if you are multitasking. When you are busy, it is easy to forget just how long something has been cooking. Heaters – Many people use heaters for extra warmth. You should always be very careful of the positioning of these heaters. Some get very hot and can easily cause fire to items close to it. Always make sure there is ample space all around your heat sources. Always have them clean and always have them maintained properly. Make sure you get your furnace cleaned and checked every year as well. Proper maintenance can prevent a disaster! Electrical Equipment – Always make sure your power cords to your appliances are in good condition. Bare wires and loss plugs can cause a fire. Make sure you are using extension cords for temporary use or if necessary, for longer time, make sure you have a high-quality heavy-duty extension cord. Cheaply made extension cords are not meant for long time use. Surge protectors are also very helpful but make sure they are high quality and made for the intended use. It is always good to check your outlets regularly also for any damages. A broken one is never a good idea. Smoking – Smoking in or around the house has been a huge source of fires. Leaving a lit cigarette unattended or falling asleep with a cigarette should always be a main concern. Most all house fires caused from smoking could have been prevented. Always make sure your cigarette is firmly seated in the tray and never have one lit when you are at risk of falling asleep. Furthermore, do not leave matches or lighters in reach of young children who might play with them. Lit candles should always be supervised as well. Faulty Wiring – Older wiring in older homes might not be safe. Safety precautions have changed a lot when it comes to safe wiring. Older homes are more likely to have worn and frayed wiring and are more likely to spark and catch fire. One should always get the wiring checked by a certified electrician to ensure safety. Dealing with electrical issues should be handled by trained professionals only! One should always practice safety by making sure all smoke detectors are checked and all fire extinguishers are in perfect working order at all times. Be smart and be safe! 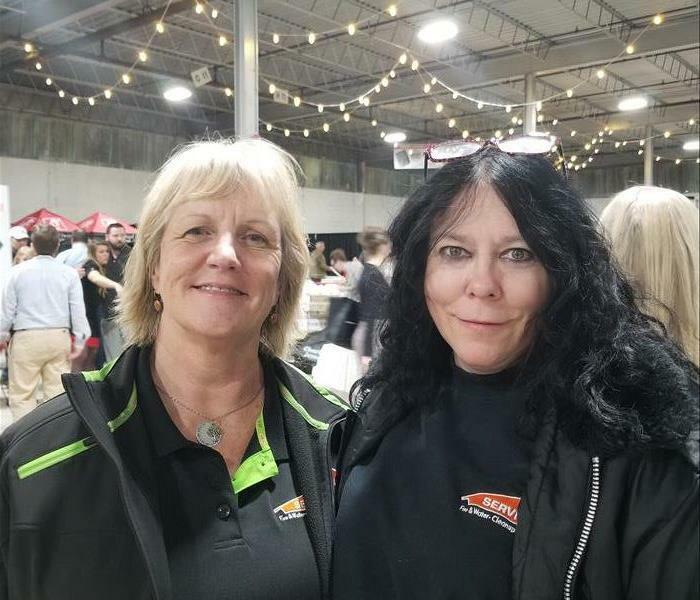 Tammy and Marie 2019 Bloomington HomeShow! At the Bloomington Home Show this year, we were able to meet a lot of individuals. There was a very nice turn out and I believe it was a huge success. We met members of so many different companies from the Monroe County area and learned a lot. Though the list is too many to mention here, there were representatives from many businesses such as Lindsay Schnarr with State Farm Insurance, Hazen Insurance, Shelter, Taylor Insurance, Southside Rentals, Aqua Pro Pools, Bender Lumber, Stoll’s Cabinets, Newhouse Construction, Well’s Lawncare, Koontz Construction, Carpets Plus, Sam’s Club, Williams Brothers Health Care, Black Lumber, RCV Roofing as well as Owen County State Bank, I.U. Credit Union, German American Bank and Express Employment. That is just some of the businesses there. Many other businesses participated as well. There was a lot of really nice door prizes. There was also some excellent food to be had from Chick-Fil-A, Great White Smoke, Red Frazier Bidon and La Pablano. I would also like to thank Tommy D's for the best cup of coffee!! We look forward to another great year and next year’s Bloomington Home Show! We have seen a lot of different situations and each has its own plan to correct the issue. In this case, we have water damage at a residence due to flooding. The residence has an extremely detailed and in depth train community. The entire setup of train and the town are up on stilts. Extracting the area with an RX20 was not an option due to all the legs from the train town every few feet. It was not possible to get more than a wand in between the legs, and it would have been almost impossible to relocate the entire setup. Our technician had to do some seriously planning. He used a a special mix of our fans and the dehumidifiers set to not disturb the client's hard work. Although complicated, we at SERVPRO kept the client and their town right on track! 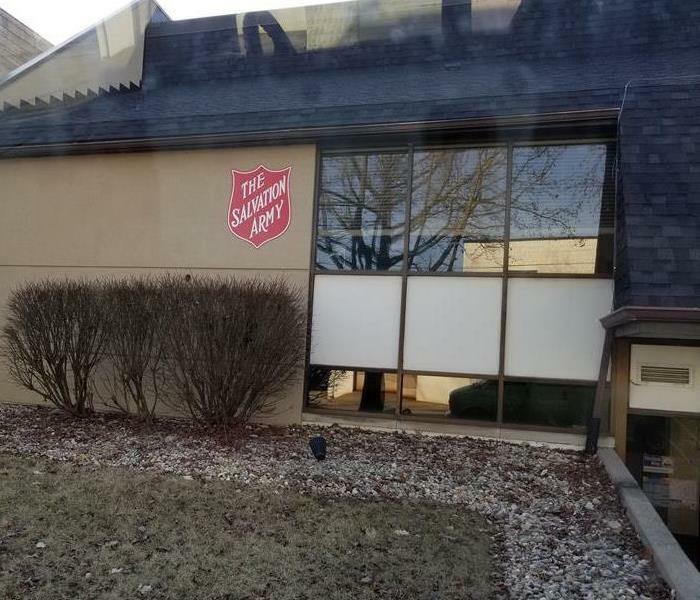 Our team spent Saturday at the Salvation Army. The Severe flooding happening in Monroe County has taken quite a toll on the area. The flooding hit so many places here and in the surrounding area. We have been very busy. SERVPRO, we are here when you need us!! We here at SERVPRO wish to thank everyone for making 2018 a great year. We wish you all a safe and happy holiday season. Can you say Water damage? We can. Here in Indiana, the weather is a huge issue in the winter. SERVPRO is available 24 hours a day for water emergencies, large or small. When you are dealing with water damage, immediate action is crucial. A delay of just a few hours can greatly increase the severity of the water damage. We understand that when you call us, you may be feeling confused, stressed, and vulnerable. You need an expert to guide you through this crisis. SERVPRO has the specific water damage training and experience to help you through this tough time. We specialize in water damage restoration—in fact, it's the cornerstone of our business. 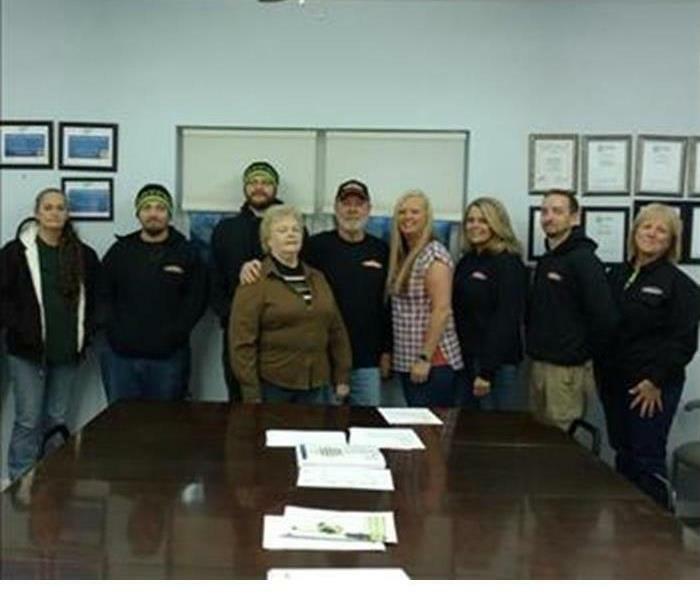 About SERVPRO of Monroe, Lawrence, Owen, Greene and Martin Counties specializes in the cleanup and restoration of residential and commercial property after a fire, smoke,water damage event, sewer backups and vandalism. Our staff is highly trained in property damage restoration. From initial and ongoing training at SERVPRO’s corporate training facility to regular IICRC-industry certification, rest assured our staff is equipped with the knowledge to restore your property. A water main break caused this picture shows the mess left behind after all water had receded. 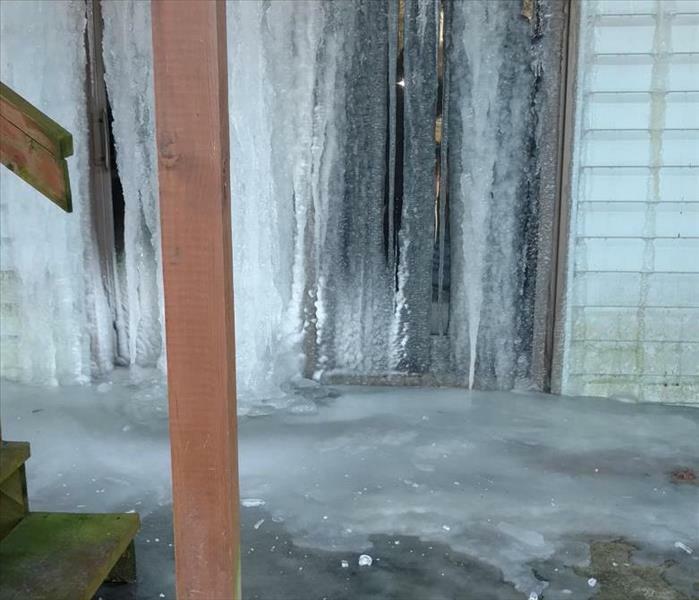 SERVPRO of Bloomington, Indiana was called in to clean up the aftermath! The owner was thrilled she said "This basement never looked this good in the 24 years I've owned the Property". The flooded basement caused us to be in a upside down situation and your company has been such a life saver. 1/23/2018 - Is it any wonder ?